Every time I see a Cadillac CT6, I want it to be good. A high-tech superspeed sedan, with some wild engine under its sharp hood. 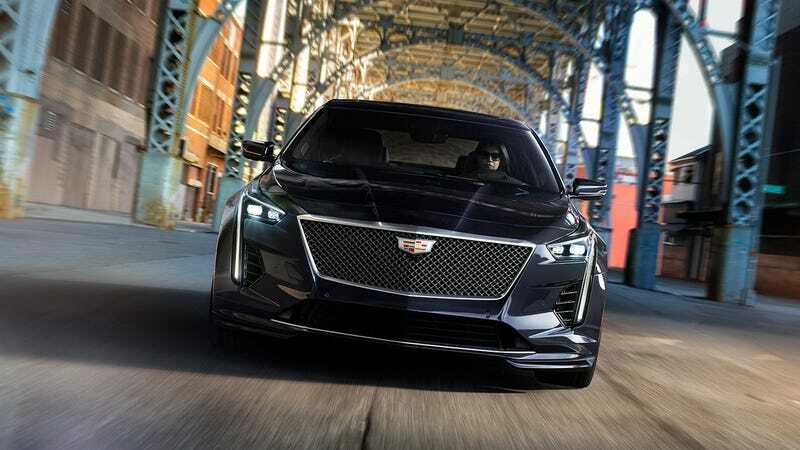 Well, though production is ending in the United States next year, it won’t be without a CT6-V, 550 horsepower “Blackwing” V8 and all. That Blackwing is a beast. From 4.2 liters, 550 HP and 627 lb-ft of torque for the CT6-V thanks to twin turbos. Non-V Blackwings will still make 500 HP and 553 lb-ft in other CT6s. So the CT6 will continue the strong GM traditions of going out as it should have gone into the world. This is referred to as Fiero Syndrome. We at Jalopnik wish the CT6 well in Valhalla, where it will live out its days with the second-generation Corvair, the Chevrolet SS, and probably a couple other Pontiacs I’m forgetting about.